New World blackbirds are widespread in the New World, and, with the exception of a few records of vagrant individuals, they are confined to the New World. The species with the northern-most range, the rusty blackbird (Euphagus car-olinus), breeds from the limit of trees in northern Alaska, northern Yukon, southwestern Nunavut, and Labrador southward into central Alberta and into northern-most parts of the northeastern United States. The species with the southernmost range, the austral blackbird (Curaeus curaeus), is found south to Cape Horn, and the long-tailed meadowlark (Stur-nella loyca) breeds from Chile and Argentina south to the Beagle Channel Islands in Tierra del Fuego and in the Falkland Islands. Between these extremes, there is no place in the Americas where there is not at least one breeding icterid. The areas of the greatest richness of species are southern Mexico, northwestern South America, and southern Brazil, Paraguay, Uruguay, and northeastern Argentina. The genus with the largest number of species, Icterus, reaches its greatest richness in Central America where nine species breed, and an additional three species winter. The oropendolas (Psarocolius), which are forest dwelling, are confined to the Neotropics; two species are found north to the humid forests of southern Mexico. Nine of the 10 species of caciques likewise are limited to the Neotropics, although one species does range north to the Pacific coastal lowlands of central Sinaloa. The genus Euph-agus, with two species, is the only genus restricted in range to North America (one winters south to central Mexico). The grackles (Quiscalus), which are closely related to the Euphagus blackbirds, are also found in North America, but some species are also found in Central and northern South America and in the Caribbean. 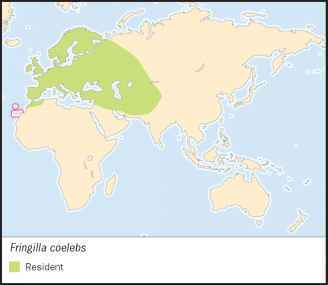 Several studies have indicated that the blackbirds that are presently placed in the genus Agelaius should be divided into two genera, one found in North and Central America and the Caribbean, and the other confined to South America.